"Does water ingression damage a synthetic lubricant? I thought one of the main benefits of synthetics was their water-repellent properties." Water can be very insidious for machinery. 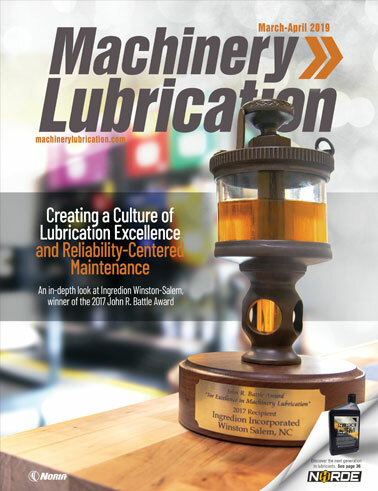 Not only does it have harmful effects on machine components, but it also plays a direct role in the aging rate of lubricating oils. The presence of water in most lubricants (synthetic or mineral) can cause the progression of oxidation to increase tenfold, resulting in premature aging of the oil, especially in the presence of catalytic metals such as copper, lead and tin. In addition, certain types of synthetic oils like phosphate esters and dibasic esters are known to react with water, which leads to the destruction of the base stock and the formation of acids. It is not just the base oil that can be affected by moisture contamination. Certain additives such as sulfurous anti-wear (AW) and extreme-pressure (EP) additives as well as phenolic antioxidants are readily hydrolyzed by water, causing both additive mortality and the formation of acidic by-products. These acidic by-products can produce corrosive wear, particularly in components containing soft metals like Babbitt, which is used with journal bearings, as well as bronze and brass components. Other additives, including demulsifying agents, dispersants, detergents and rust inhibitors, can be washed away by excessive moisture. This results in sludge and sediment buildup, filter plugging and poor oil/water demulsibility. While it is true that some synthetic lubricants have greater water-holding abilities than others, this will depend on the application of the oil. 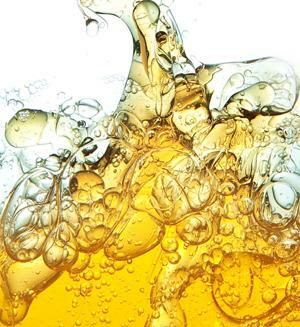 Whether it is a hydraulic fluid, combustion engine, compressor/chiller or gearbox oil, most synthetic lubricants have a greater ability to handle water than mineral oils do. Still, water in any form will have a negative effect in most oils, synthetic or mineral. 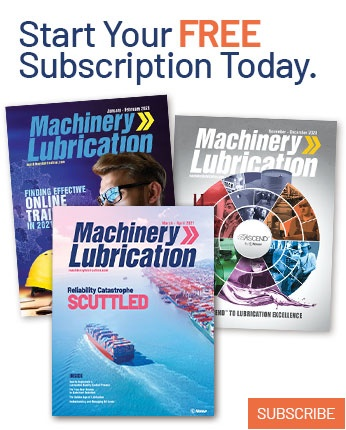 The best applications for using synthetic lubricants include when equipment performance demands exceed the capabilities of mineral-based fluids, when life-cycle cost savings can be realized, or when safety and environmental issues can be enhanced. In many cases a synthetic oil will outperform mineral oils and be a good choice for harsh conditions where moisture and heat prevail. However, a synthetic will not solve all your problems. It will only allow you a little more time between oil changes. The best thing to do is to stop the introduction of water into the machine in the first place. Remember, prevention is always the best policy.